Stephen King's most infamous villain is ready to leave his life in the sewers behind. In lieu of terrorizing small children, he'll be focusing his efforts on a single house - yours! 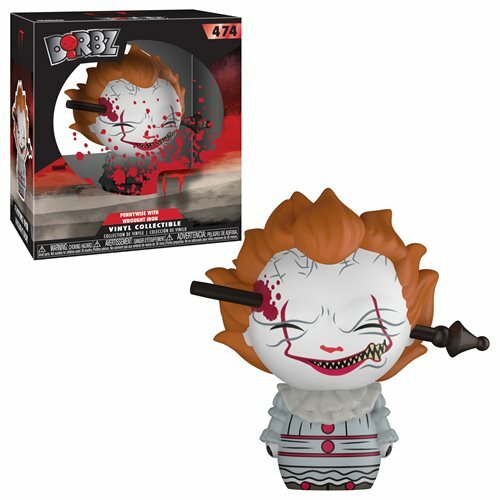 This It Pennywise Dorbz Wrought Iron Vinyl Figure #474 measures approximately 3-inches tall and comes packaged in a window display box. Ages 3 and up.